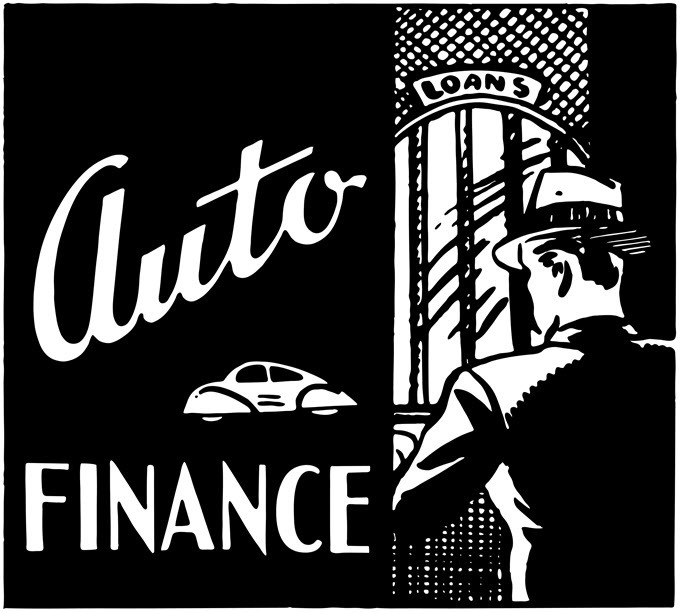 This tool will provide you with the monthly payments required for auto loans lasting 1 year, 2, 3, 4, 5, 6, 7, 8, 9 & 10 years. Simply enter your total amount financed and the annual interest rate. When you press CALCULATE, you’ll see the monthly payments for each loan term. By default this calculator will use the interest rate you enter as the default rate for all loan durations. If you would like to edit the interest rate used to calculate any of the loan terms then you can edit the rate for that loan term in the area below the calculator. When it comes to buying a car, most people follow a fairly similar path. You likely start with some cash to use as a down payment or an older car that you want to trade in for something new (or both). From there, you probably estimate what you can afford to pay monthly and use that number to run some calculations. These numbers lead to setting a price range meant to help you narrow your search options. Then again, before you even start looking at new vehicles, you might meet with lenders to find out how much financing you can get pre-approved for. More than likely, though, you assume that the dealership will handle the financing and you start looking at and test driving the makes and models that interest you. If you have a smartphone, you could even download a car loan calculator app that lets you run calculations on the spot based on the price of the vehicles you're looking at. And once you've selected the car you want, you just have to sit down with the salesperson to iron out the kinks of the contract. However, you need to understand that there are a variety of choices to be made when it comes to financing your purchase. And before you settle on the particulars, you need to understand what you stand to gain or lose by agreeing to certain stipulations. Here are some pros and cons to consider before you sign on the dotted line. The length of time you have to pay for your vehicle purchase is up to you, to a certain degree. The dealer or lending institution that finances the remaining balance of your purchase (after you make a down payment and/or trade in an older car) will offer different options, but it's up to you to pick the one that works best with your budget. That said, there are some pros and cons to consider before you choose. First off, it’s important to know that a typical schedule for repayment is five years. Your remaining balance will be broken up into equal payments spread out over 60 months, interest will be tacked on, and then you will have your monthly payment worked out. But of course, you can elect to go with shorter or longer periods for repayment. Longer contracts lead to just the opposite. Although longer repayment schedules are much more popular these days (6-year arrangements are becoming commonplace), you will certainly pay more over time due to interest, even though your monthly payments are low. One thing that many buyers fail to consider is that they don't necessarily have to make monthly payments. Even though it is traditional, there are other options that could offer advantages. For example, you might elect to pay biweekly. This means making 26 half payments a year, totaling 13 full payments rather than the 12 you'd make with a monthly repayment schedule. The major benefits associated with this proposition include paying your car off faster, paying less interest overall, and splitting the cost between paychecks. It's just something to consider when you're weighing the pros and cons of all your options. In addition to the length of your contract, the other point you may have some control over is the interest rate attached to your financing agreement. You can't set the interest rate, of course, but you may be able to sway it based on the decisions you make. For example, you'll probably notice that the longer the duration of your financing, the lower interest rate you'll enjoy. So your monthly payments will benefit from two reductions. The problem is that every year you tack on to your repayment schedule results in more interest payments. So even if the interest rate is a lot lower, you'll almost certainly end up paying more by the time you have the pink slip in hand. Before you select the longest repayment period, the lowest interest rate, and the lowest monthly payments, you might want to consider the potential for depreciation and what that will mean for you by the time you finally own your vehicle. For one thing, you should consider negative equity. Unlike other assets, cars only lose value the longer you own them, generally speaking. And at some point, you may find yourself owing more than the car is worth. If you have an accident and total the car, your insurance will cover the value, not what is owed. So if you're underwater in this scenario due to depreciation, you'll still owe money on a car that you no longer have. You can purchase gap insurance to cover this spread, but at that point, you're probably negating any savings you stand to get from selecting a longer duration for financing. And of course, the longer you take to pay off your car, the lower the resale value sinks. So when you are finally ready to sell it or trade it in, it will be worth less than if you had paid it off 1-2 years earlier. Another thing to consider is that you may want to trade up to a newer vehicle when your warranty expires (generally within five years). If your financing agreement is for longer than the length of your warranty, you could find the situation financially unfavorable due to the added cost of maintenance or the reduction in money you'll get on trade-in once you take away what you still owe on the car. In other words, you should think ahead to where you'll be and what you'll want by the time you get your car title back from the lender. Both your current financial situation and your future plans could have a significant impact on the final contract you end up signing.